Sorry I have not been around. As some of you may know, my refrigerator broke on Christmas, and I haven’t been able to cook anything for well over a week. It’s been a nightmare. You don’t realize how much you take things like refrigerators for granted, until you don’t have one. I have to admit taking a break from blogging has been nice. I do miss you all, but sometimes it’s just nice not to have pressure to put a recipe together. Blogging and recipe creating is a hobby for me and it is one hobby I don’t want to lose interest in, so I am not going to pressure myself to create a recipe everyday. However, I do plan on some new recipes this year and also improving some old ones. 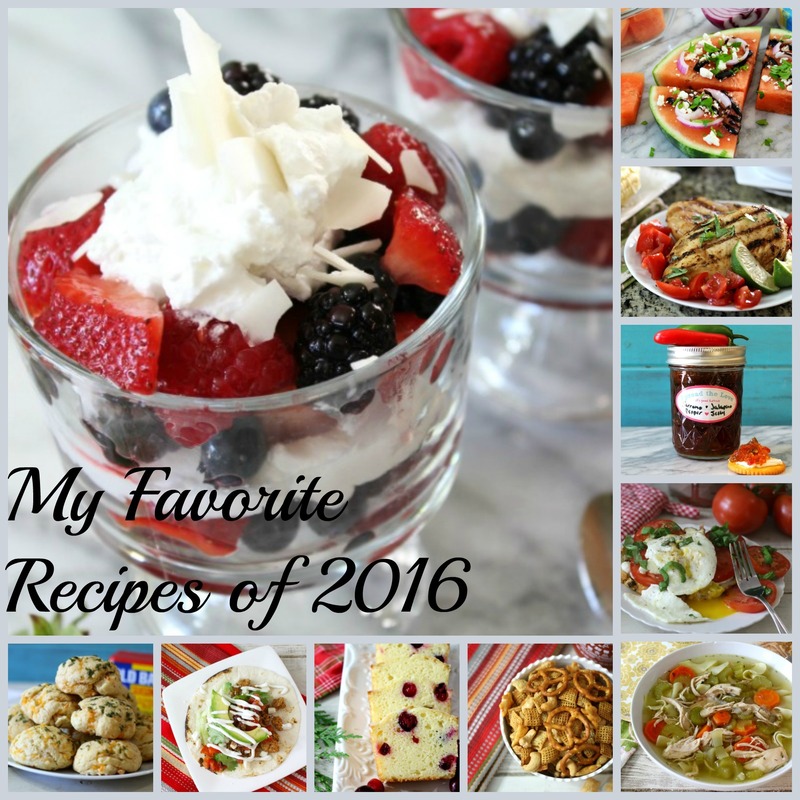 Today I am sharing with you my top 10 favorite recipes of 2016. 10. 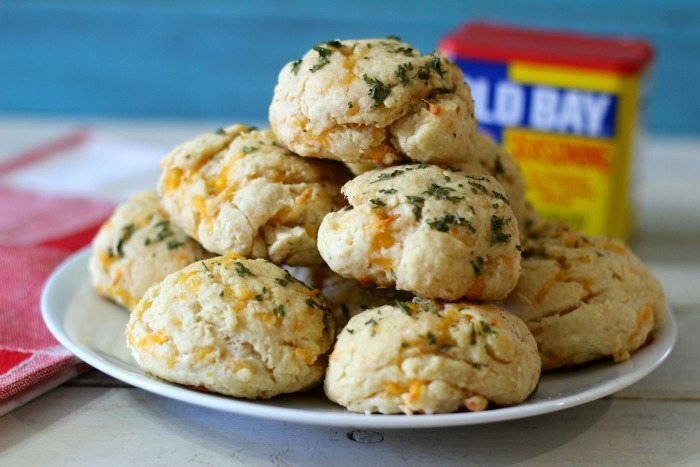 Cheddar Bay Biscuits – These are one of my favorite things to eat at Red Lobster and I am so glad I created my own recipe. It is super easy to make too. They freeze great! 9. 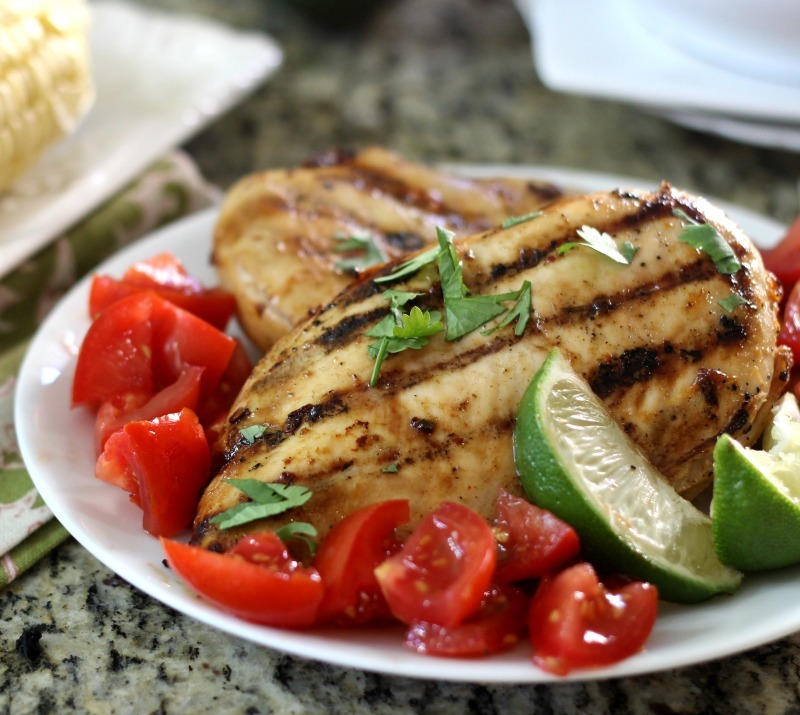 Chipotle Tequila Lime Chicken – I love this recipe. The chicken is so moist and tender. Great on its own or cut up into tacos. 8. 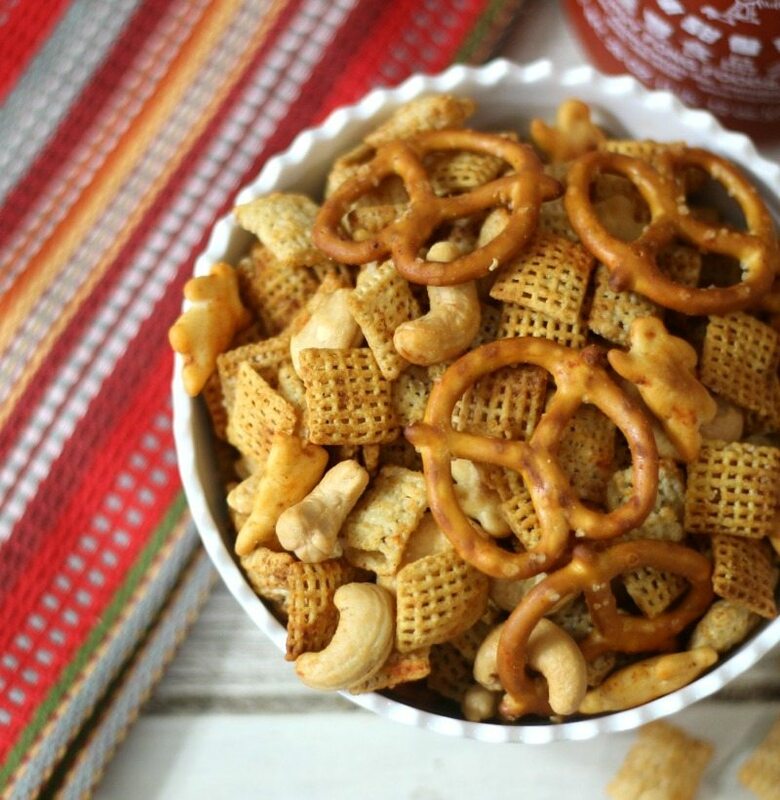 Sriracha Chex Mix – I made this recipe so many times. It is highly addicting. Super easy to make too and makes for a great snack. 7. 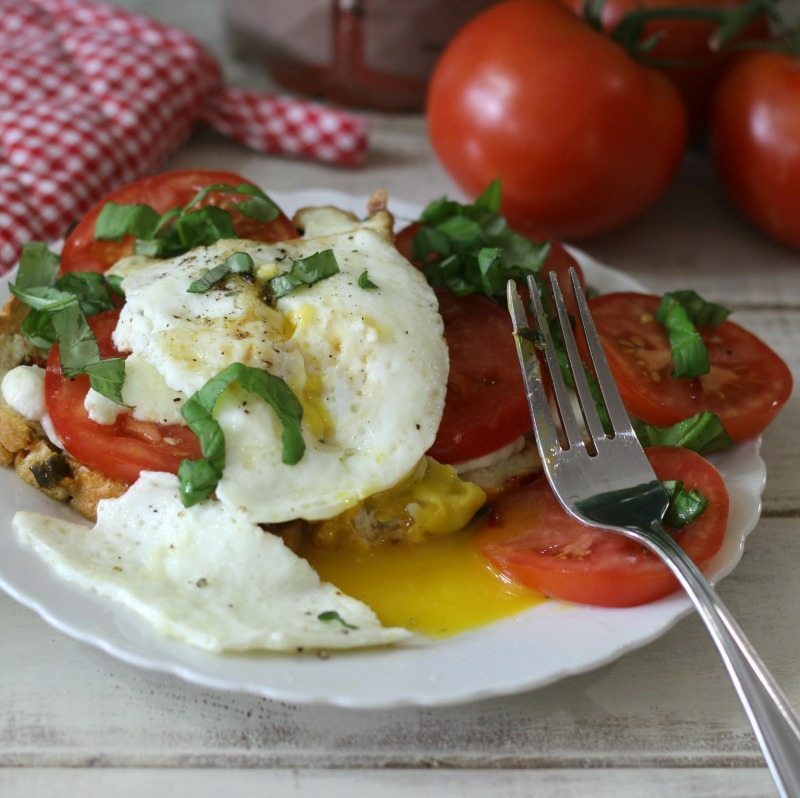 Caprese Egg Sandwich – This is such a quick easy dinner, breakfast or lunch but I love it. Once I made this, I must have been eating it on a daily routine. I have a thing for tomato and basil, but add an egg on top, it’s just damn good. 6. 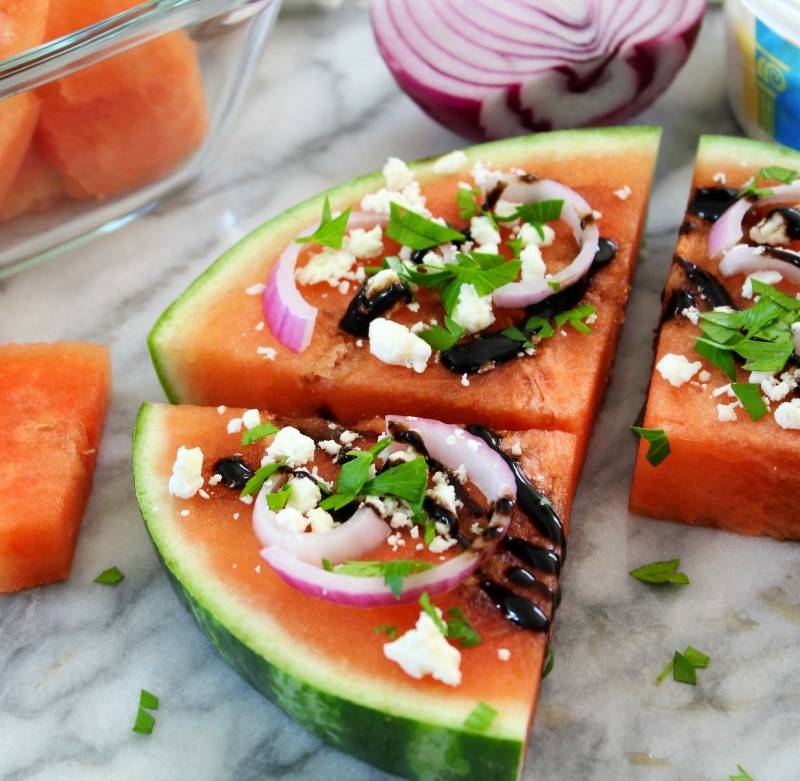 Mediterranean Watermelon Pizza – Oh weeeee, this is so good and a perfect, light, filling summer snack. I made this one and was so pleased with it. A great combination of sweet and savory. 5. 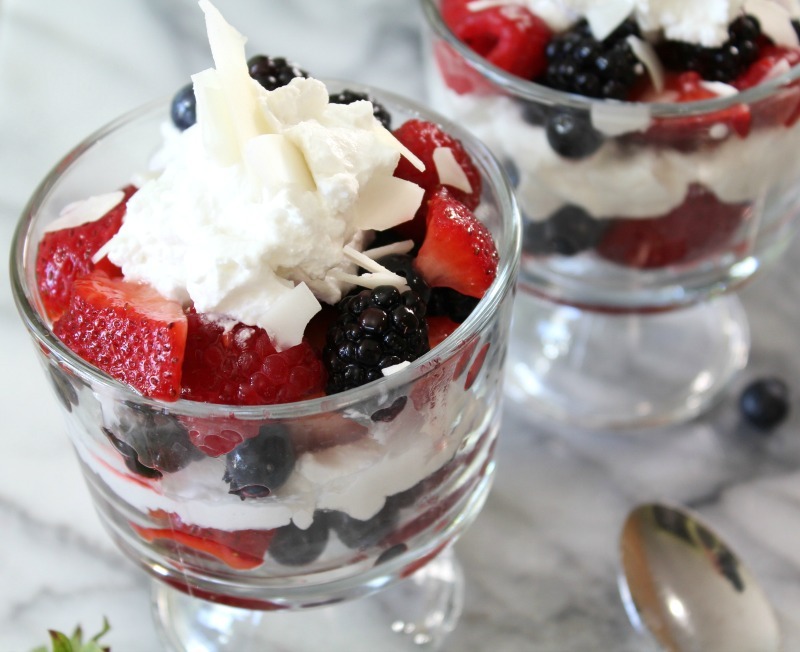 Coconut Berry Parfait – Such an easy parfait to put together and a family favorite. It’s made with coconut instead of whipped cream. It is simply delicious and refreshing. 4. 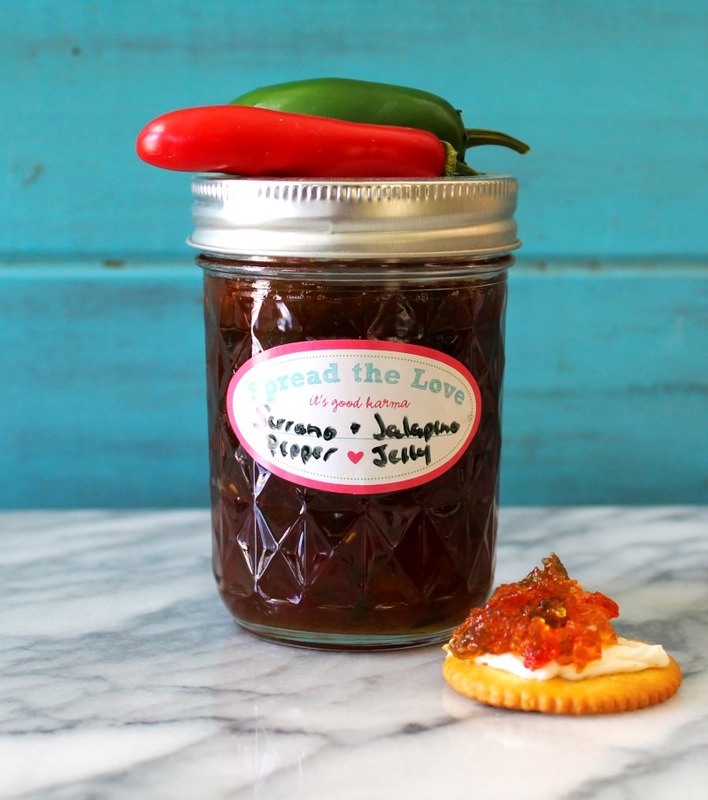 Serrano & Jalapeno Pepper Jelly – I was so proud to make this jelly and it is pretty easy to make too. I used freshly picked jalapenos and serrano peppers from my garden. This jelly is sweet and spicy. Goes great on cream cheese. Yum! This is one recipe I am very proud of. 3. 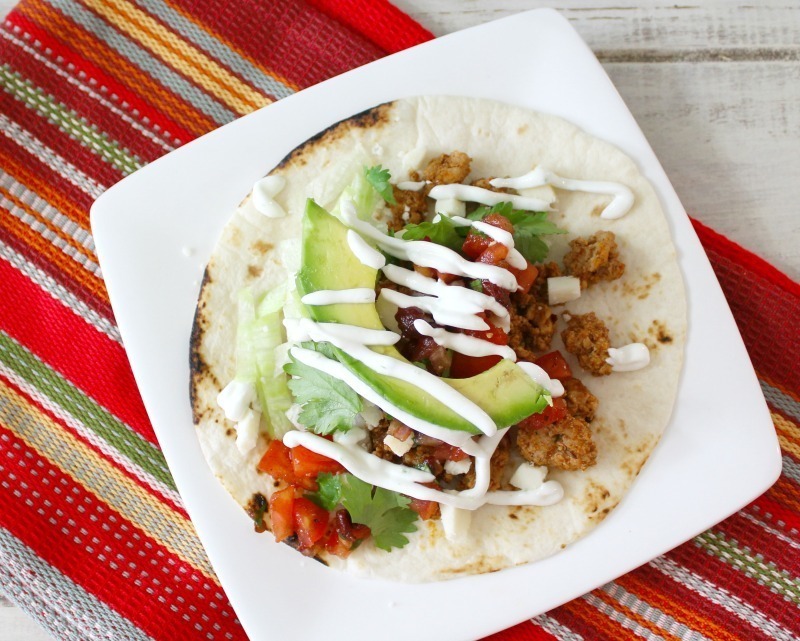 Turkey Street Tacos – I did a post for Foster Farms ground turkey and to be honest we are not fans of ground turkey in our family. Well this recipe changed it all. We absolutely love these tacos. The flavors all combined together is simply amazing. I love the chipotle salsa, and crema on top. This is one recipe that we keep on our rotation now. If you don’t like ground turkey, this recipe may change your mind. 2. 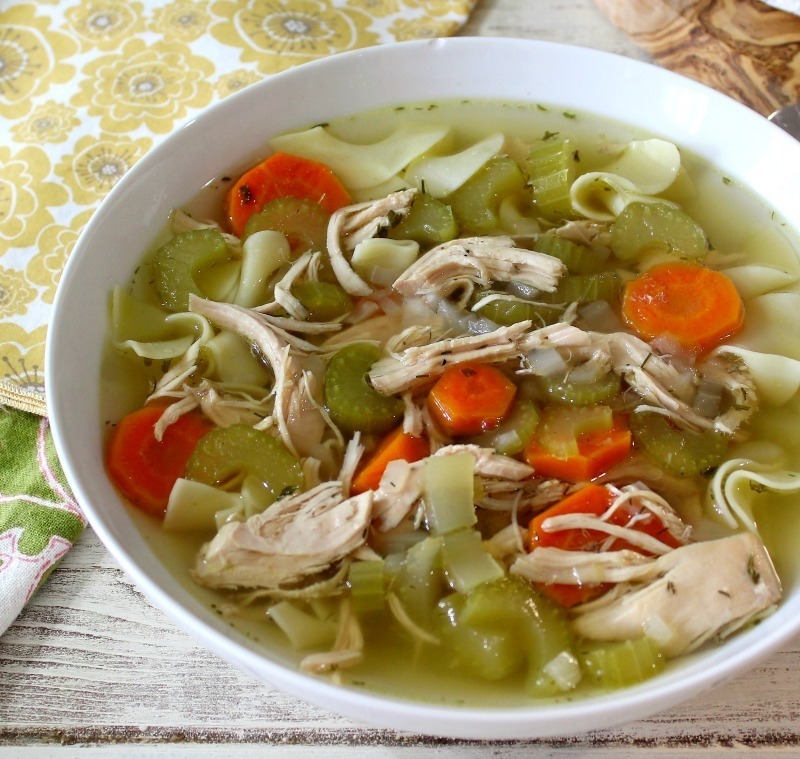 Chicken Noodle Soup – This is one recipe that was my Mom’s recipe and I think my Grandma’s recipe. It is just classic, full of flavor and the perfect got o comfort food. In my family it is one of my most requested recipes. Just take in mind, it takes about 3 hours to make. Perfect for a Sunday dinner. 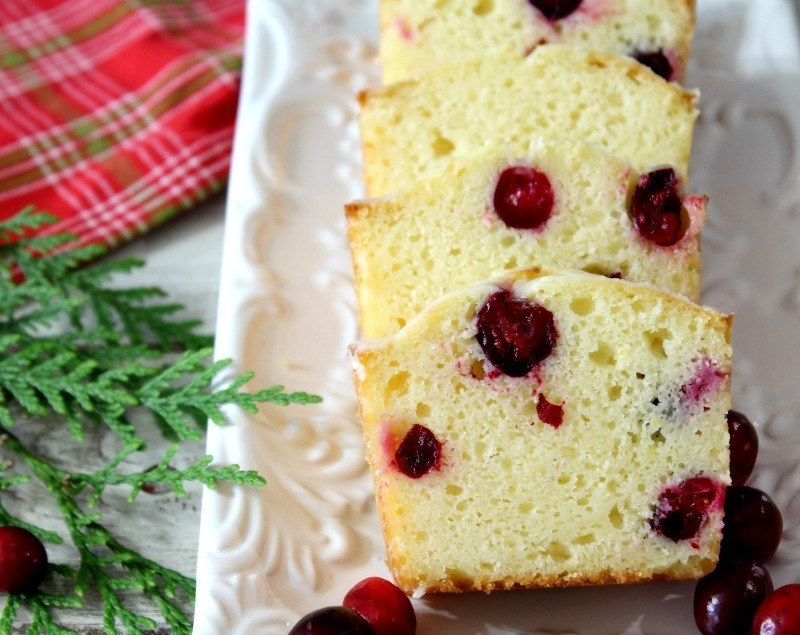 Orange Cranberry Bread – I just made this recipe a few weeks ago and it is so good, and moist. My favorite is the fresh tart cranberries and then you get a nice sweet orange flavor. Everyone loved this bread and so do we. I hope everyone has a wonderful 2017, full of good health, happiness, fun, laughter, friends, family and of course good food. Cheers to a new year with new beginnings! Thank you Courtney. The Street Tacos are one of my favorite recipes this year! Happy New Years to you! I must admit, they are my favorite tacos that I have made.